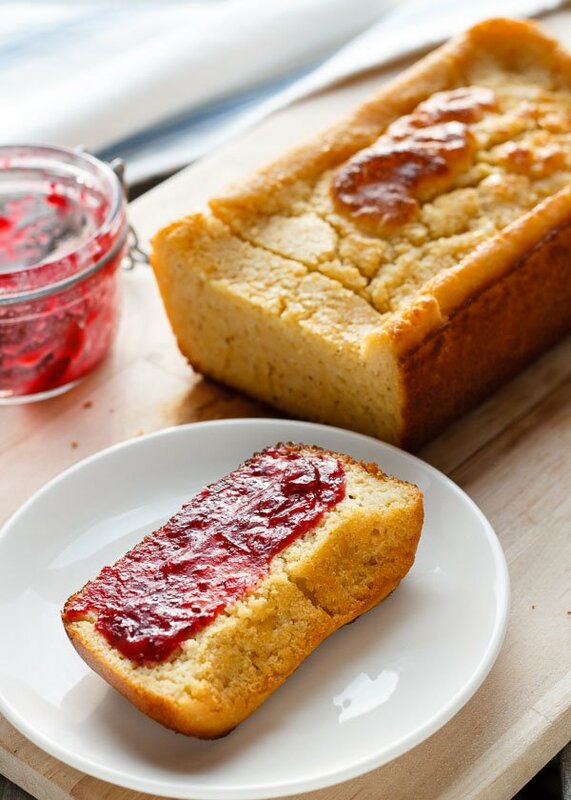 An extremely moist, subtly sweet, and miraculously low fat cornbread with loads of flavor and a tender crumb. 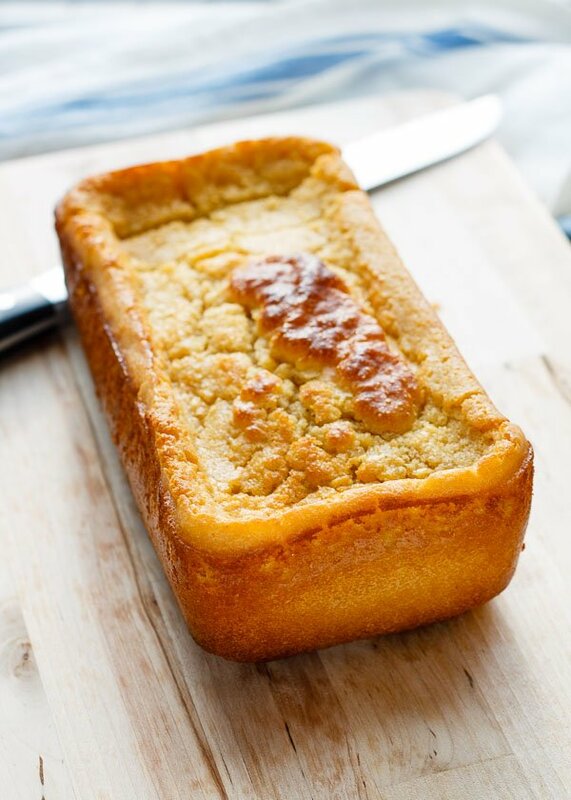 The secret is stone-ground cornmeal soaked overnight in buttermilk. 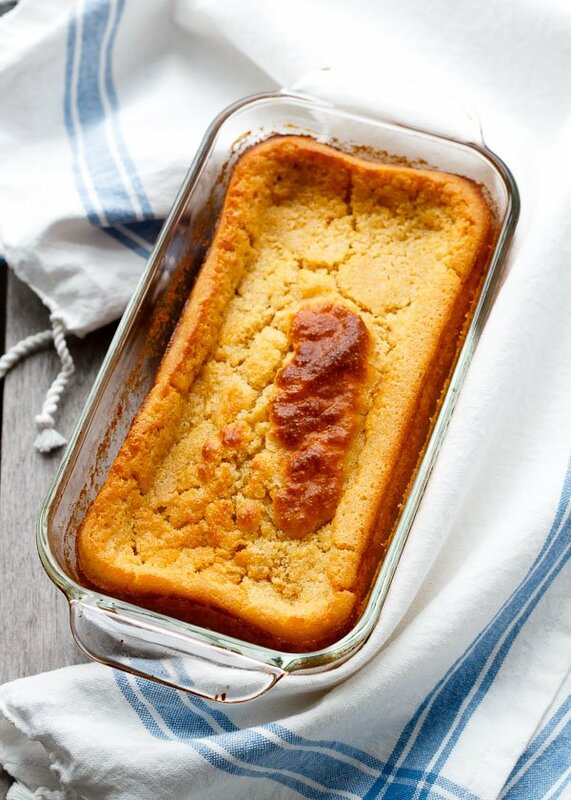 This cornbread is so flavorful I like it best plain. It stays moist for days, although it won’t last that long. I made 1 loaf and 8 muffins for this post. It disappeared in a blink! Everyone loved it to bits. There are tasty hints of fresh corn off the cob flavor in every bite. All of this greatness comes from soaking stone-ground cornmeal in buttermilk overnight, which requires a little extra planning but is 200% worth it. Stone-ground cornmeal retains the bran and germ of whole corn kernels, so it’s more nutritious and flavorful. We just need to give it some time to hydrate! This is a recipe barely adapted from my favorite bread baker, Josey Baker. I have another post entirely devoted to his SF bakery + cafe, where he bakes up genius bread that makes you feel good about eating carbs. 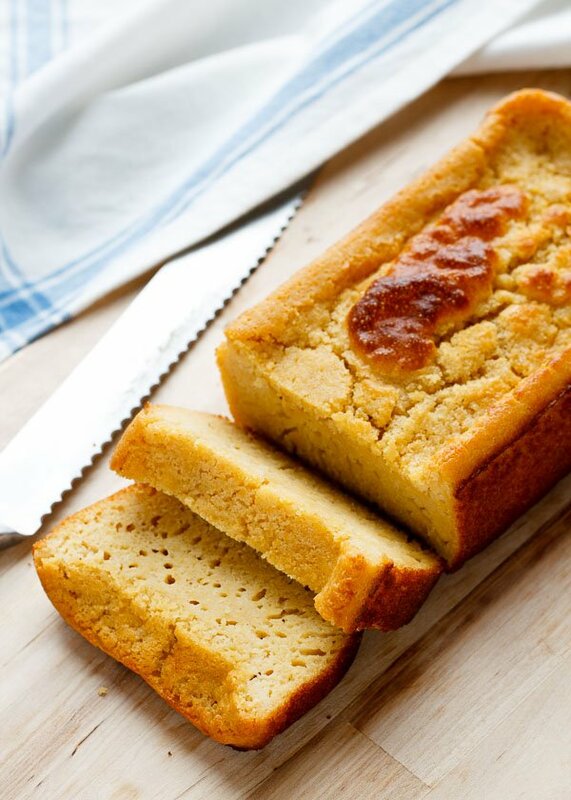 You’ll feel the same about this cornbread. Just a note on the different grinds of stone-ground cornmeal – if the label says fine, medium, or coarse grind, opt for fine. I use Indian Head Old Fashioned Stone Ground Yellow Corn Meal or Bob’s Red Mill Fine Grind Cornmeal. I’ve tested this recipe with Bob’s Red Mill Medium Grind Cornmeal as well and there were remaining chewy bits of cornmeal left in the final baked good, so if you want a more tender and uniform texture, use one of the finer grinds. Let’s get to the recipe now! The only change I made to the original Josey Baker recipe was to use all-purpose flour instead of kamut flour, as I wanted to give you a recipe with easier to find ingredients. Happy to say the recipe is still wonderful with all-purpose flour! The star here is stone-ground cornmeal. Two brands I like are Indian Head and Bob's Red Mill Fine Grind Cornmeal. For the sake of flavor, I urge you not to use regular cornmeal. Mix cornmeal with 1 cup buttermilk in a medium mixing bowl. Cover and soak overnight in the fridge. 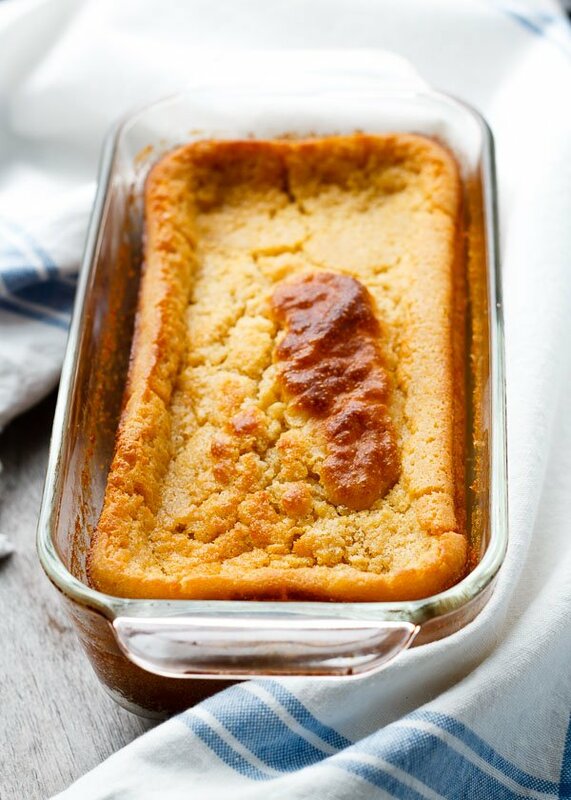 Take the mixture out of the fridge 1 hour before you plan to bake the cornbread. In a large mixing bowl, whisk flour, baking powder, baking soda, and salt together. Melt 1 and 1/2 tablespoons of butter in a small saucepan over medium heat. Pour the melted butter into a loaf pan and use a pastry brush to coat the bottom and sides of the pan, letting the rest of the butter pool in the bottom of the pan. In the same saucepan, melt the remaining 1 and 1/2 tablespoons of butter, add the honey and stir it together. To the soaked cornmeal mixture, add dark brown sugar, 1 more cup of buttermilk, and the beaten egg. Add this to the dry mix along with the melted honey butter. Stir for 1 minute until everything is incorporated and smooth. Pour the batter into the loaf pan. Bake for 45-60 minutes, rotating the pan halfway through. A toothpick inserted in the center of the loaf should come out clean. Different ovens will vary, but my loaf is always done at 45 minutes when the top is yellow and the sides are golden brown. Let the loaf cool at least 5 minutes before turning it out onto a cutting board to slice and serve. I love cornbread. Your version looks incredibly golden, delicious and packed full of flavour. Wish I had a slice to devour right now!